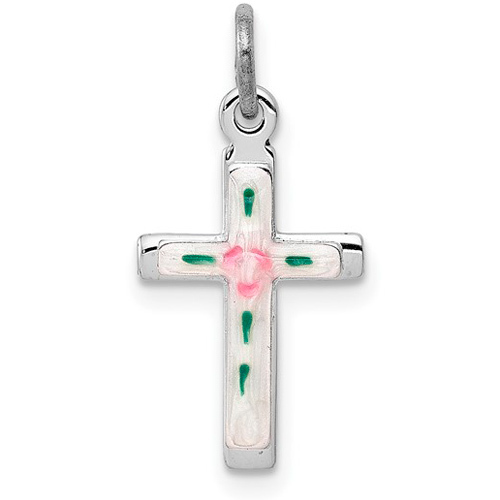 Light green blue and red enameled cross is made of sterling silver. Weight:0.8 grams. Measures 5/8 inch tall by 3/8 inch wide without bail. Chain not included.